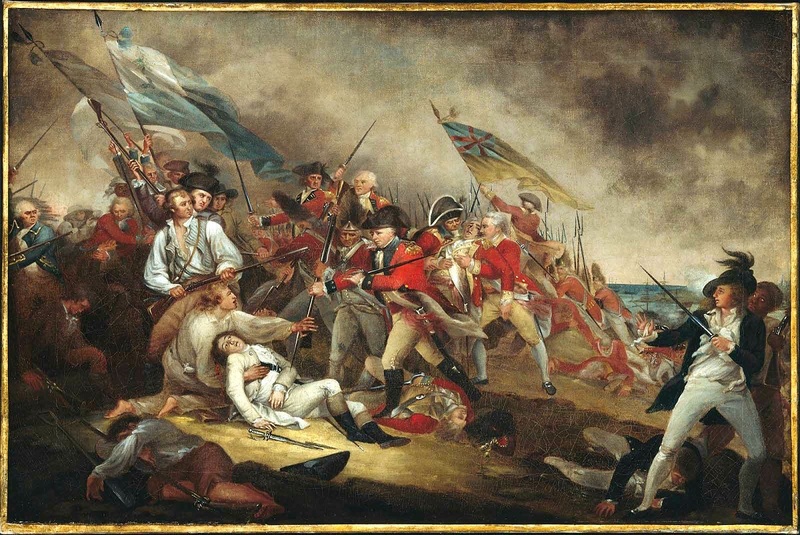 On June 17, 1775, one of the most important battles of the American Revolution, The Battle of Bunker Hill, took place. Among the Continental Army was Peter Salem from Framingham, Massachusetts. Salem was born enslaved but at the outbreak of war was temporarily released by his owners so that he could serve in the army. Salem has been identified by a number of participants as the soldier that fired the shot that killed British Maj. John Pitcairn at Bunker Hill. Shortly after the battle, General George Washington declared that enslaved people could no longer be recruited for the militia. In response to the decree, Salem’s owners granted him freedom so he could continue to fight. Salem’s experience at Bunker Hill became popular when John Trumbull included a soldier, thought to be Salem, in his famous 1786 painting, The Battle of Bunker’s Hill.